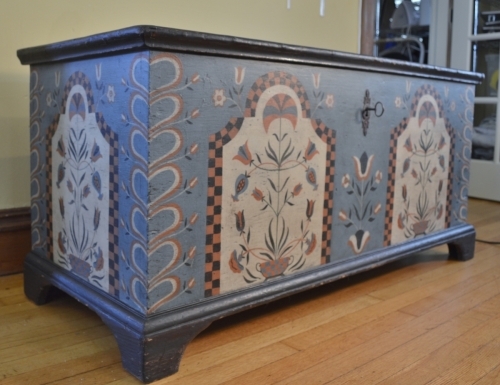 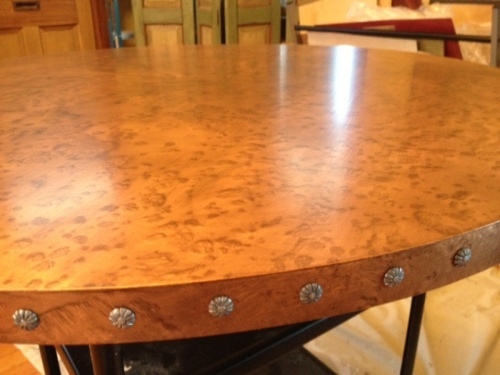 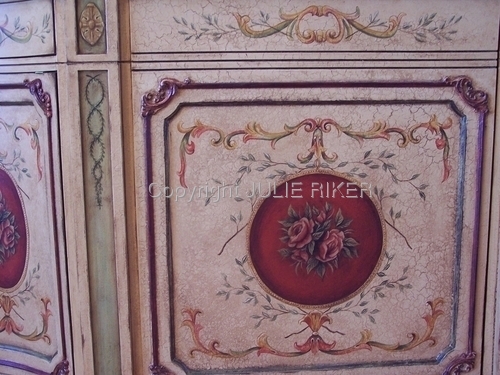 Detail showing antiqued crackle finish and handpainted elements. 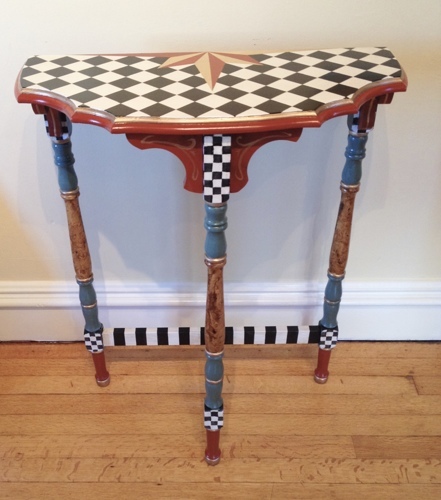 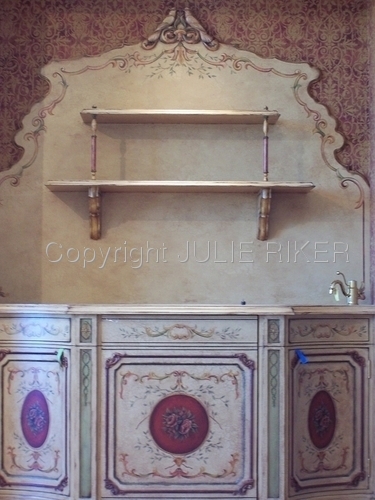 Custom piece design to compliment other colors in the decor. 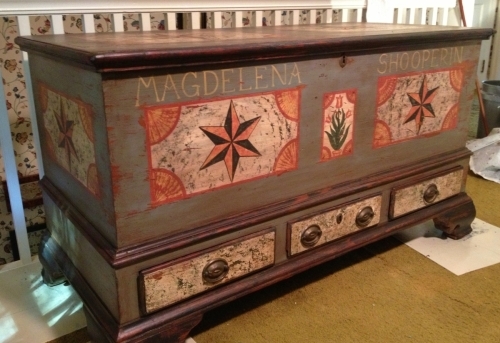 showing color and aging match to original top piece. 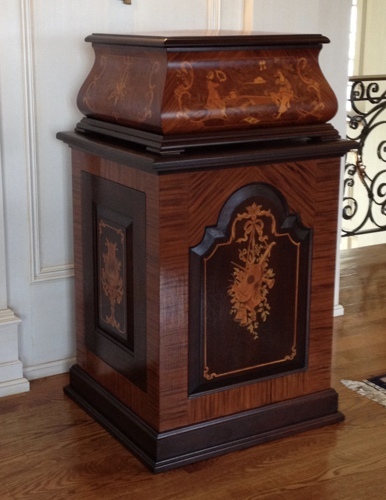 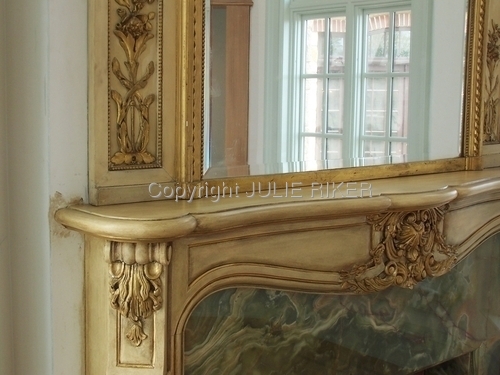 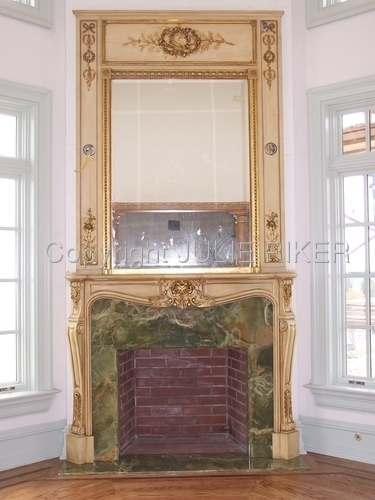 The overmantel is an antique piece and the fireplace mantel was painted and aged to match it.